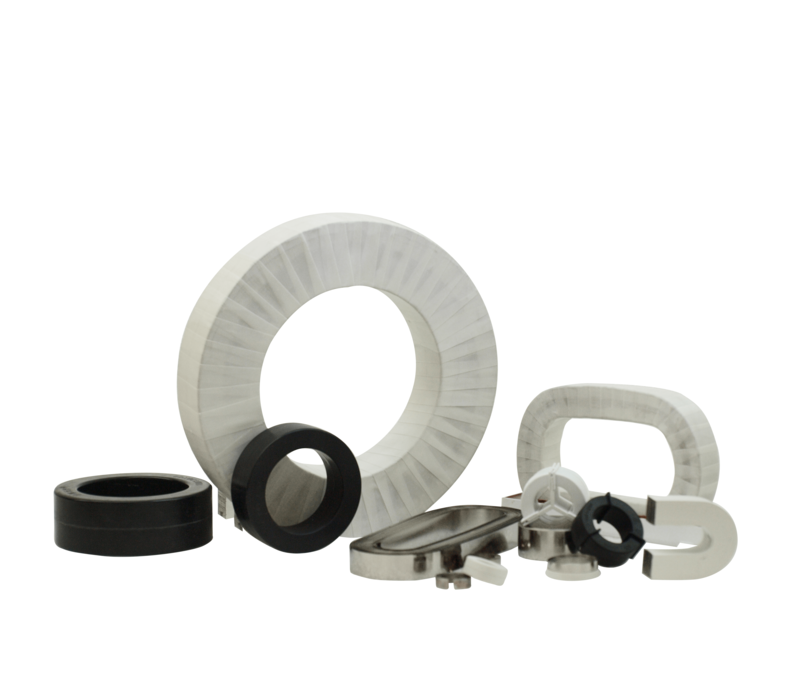 Nanocrystalline and amorphous cores are made from metallic alloys developed with high technology, granting a particular set of characteristics for these materials. The differential is in it´s alloy amorphous microstructure, a microstructure similar to glass, which is obtained with the use of the melt-spinning technique. By the end of the production process, the amorphous cores remain with a metallic-glass structure, while the nanocrystalline cores obtain a refined structure of nanometric magnetic grains scattered in an amorphous metallic matrix. 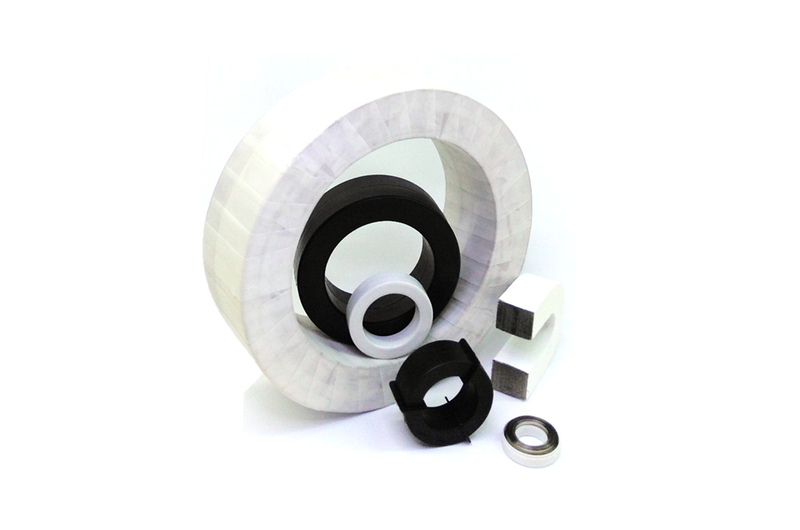 Magmattec is the only company of Latin America to produce this type of soft magnetic cores. 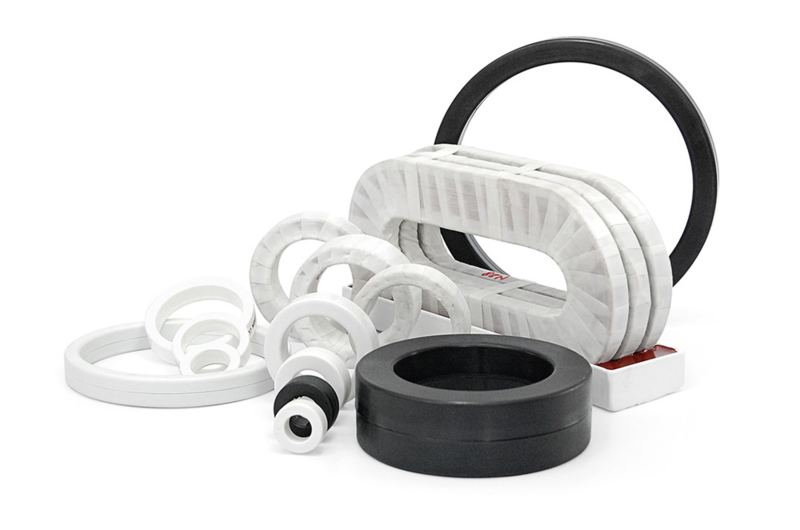 Application: Current Transformers for low and high voltages, line filters. Characteristic: High magnetic permeability (up to 280000), saturation level of 1,2 T, low losses. Advantages: Higher sensitivity to magnetic induction, up to 60% weight and volume reduction, better thermal and electrical efficiency. Benefits: Higher precision and reliability in measurements, reduction of final product size, better energy efficiency, custom shapes and sizes. Characteristic: Saturation level of 1.55 T, low losses. Benefits: Higher precision and reliability, reduction of final product size, better energy efficiency, custom shapes and sizes.